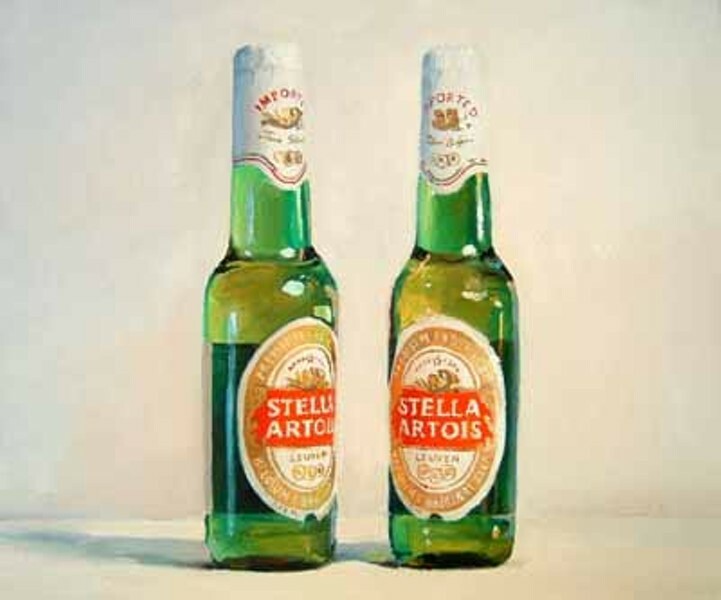 TWO STELLAS: Painting by Ray Kleinlein on display at Christa Faut Gallery. Contemporary artist Ray Kleinlein brings his humble, uncomplicated view of art to Charlotte. His one-man show at the Christa Faut Gallery showcases what he does best: oil paintings of everyday objects rendered with a master's eye for detail. His skill and simplicity make it easy for one to appreciate the talent and time that he puts into his craft. While a student at the Columbus College of Art and Design in Ohio, Kleinlein mastered the style of Baroque still-life painters. He learned the magic of staging and lighting, but in the end he threw out the grand props in favor of humble objects that reflected the most basic truths of life. Kleinlein is no stranger to the Carolinas, as he was a visiting teacher at Davidson College from 2002-2004. In April 2004, he opened a show at Davidson College that K. Johnson Bowles, director of the Center for the Visual Arts at Longwood College, said "pays homage to the importance of labor as a meaningful method of achieving fulfillment ... and the pursuit of perfection as a measure of realizing enlightenment." Four years later, Kleinlein is still doing the same thing, only better.